The biggest impediment to a successful negotiation isn’t the person sitting on the other side of the desk or dinner table. It’s our human tendency to react in ways that ultimately undermine our interests, writes William Ury, co-founder of Harvard’s Program on Negotiation and co-author of the worldwide best-seller Getting To Yes. To illustrate the point, Ury details a particularly tense mediation session in which the president of a country shouted angrily at him. Ury stayed calm by taking mental notes of his own physical reactions (jaw clenching, cheeks flushing) and emotions (embarrassment, anger). Focusing on what he was feeling, a tactic Ury calls “going to the balcony,” helped him ease the emotional effect of the verbal assault and think more clearly. For more than 35 years, Ury has taught the art of negotiation to executives, small-business owners and diplomats. In this book he distills his simple yet substantive six-step method to help readers engage in win-win personal and professional negotiations. Among the six steps: Put yourself in your shoes (observe your thoughts and feelings without judging), stay in the zone (be present and release negative emotions), and respect them even if they disrespect you (put yourself in their shoes). 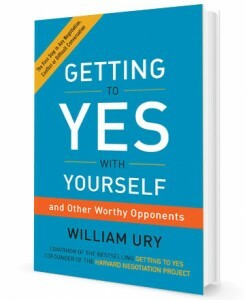 In Getting to Yes with Yourself, Ury recommends reviewing the six steps before any negotiation, be it your teenager’s curfew, a raise or a merger. He’s right. This little book will make a big difference in your ability to parley like a pro. 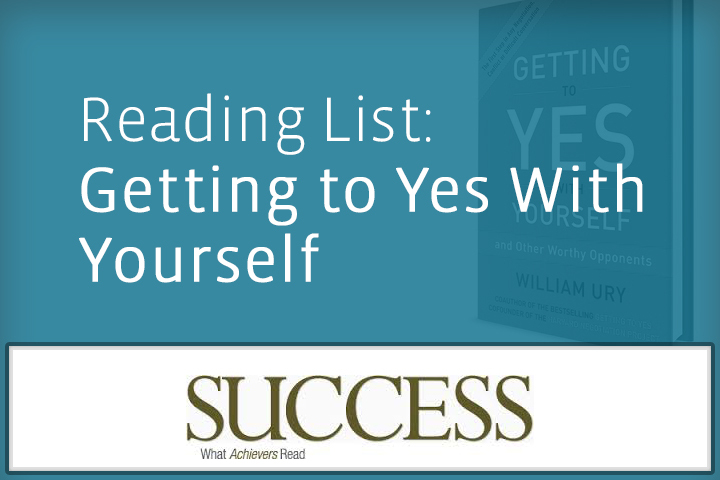 No Replies to "Reading List: Getting to Yes with Yourself (And Other Worthy Opponents)"